With three boys, it’s a challenge keeping foods fresh in their original packaging. Little boys can’t read the instructions on packaging. Older boys can, but reading is a chore reserved for schoolwork, not to be mingled with the pleasures of gluttony. You’d swear our victuals were opened with a sledge-hammer. The impatience of hungry children leads to bags and boxes ripped beyond recognition, incapable of keeping contents fresh until the next feeding frenzy. This serves the little piglets right, and would be a great lesson, except sometimes Daddy seeks an edible morsel from the pantry. We have lots of random foods sealed in storage containers. Sometimes you can’t blame the kids. Some foods have been packaged to combat freshness. Saltines, in their waxy, rectangular sleeves, have vexed me since my first bowl of Lipton Noodle Soup. I learned how to mix the soup powder in water 45 years ago. I’ve still not figured out how to open a sleeve of saltines. I feel like a bomb disposal recruit trying to defuse the end of a saltine packet, gingerly tugging at the corners, visualizing the package blossoming into a neat square opening. In spite of my great care, I will send a gash halfway down the sleeve. 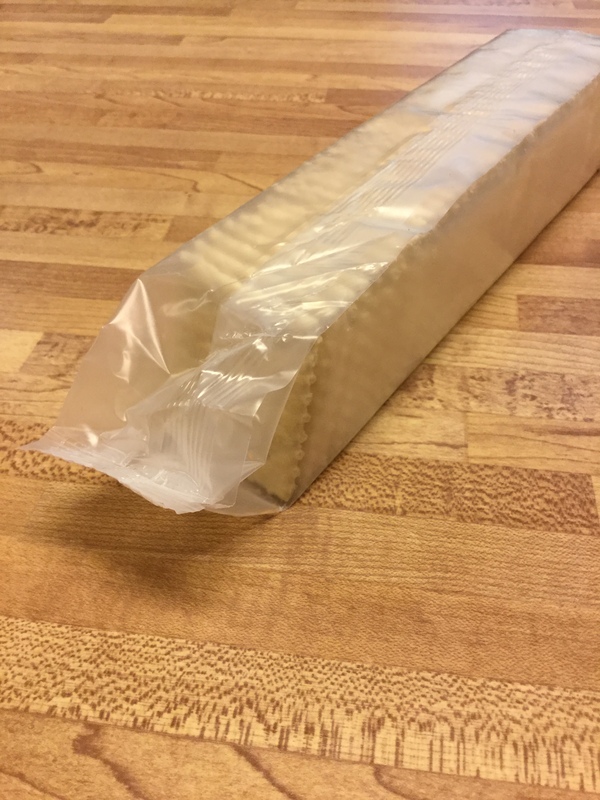 Even when opened perfectly, there is no good way to close up a sleeve of saltines for later. After the first use of saltines, I might as well throw the remainder of the sleeve away. I consider the 1/3 portion that will be wasted as tribute paid to the Universal Baking Mix Gods. 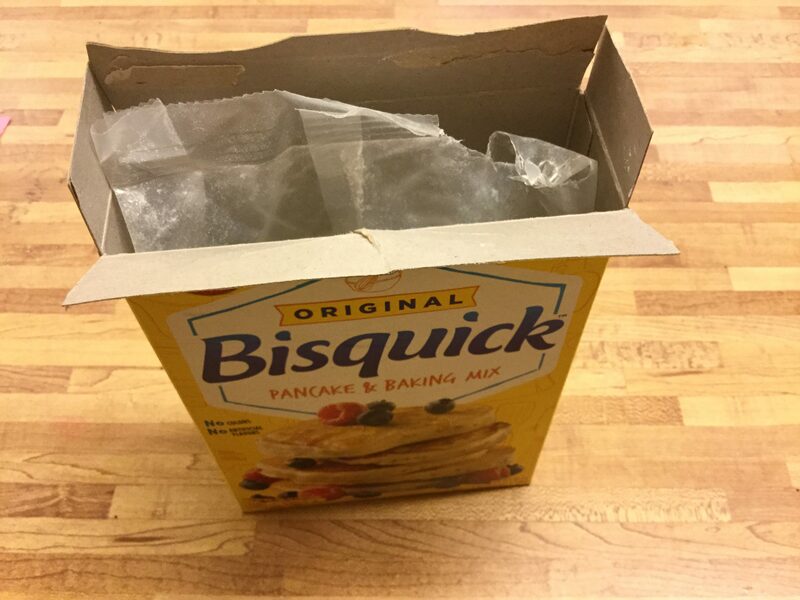 The bag inside a box of Bisquick is recycled from old bullet-proof vests. You have to be a strongman competition winner to open it with your bare hands, and if you do, you’ll find yourself lightly breaded. You can cut it open with scissors, if you have scissors tough enough to pierce Kevlar. Bisquick does not deteriorate like saltines, but I find myself spilling a good portion of it, pouring it from the bag I mangled during the “attack with sharp objects” step of my baking recipe. When the bag is empty, I can get three more pancakes from the loose mix accumulated at the bottom of the box. Do they still even make the triangular hole punch can opener anymore? 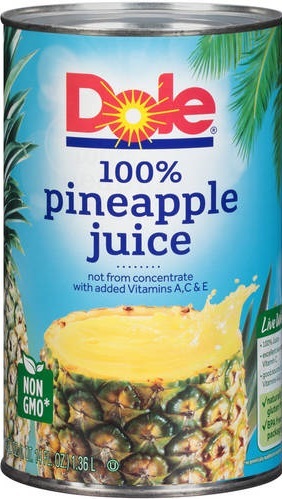 Dole makes delicious pineapple juice, but was it packaged in 1918? A sealed can of juice? I suppose that makes it easier to ship to our troops fighting Kaiser Wilhelm. As it happens, pineapple juice is a great mixer for vodka. When you’ve made vodka your summertime choice for that after-getting-the-kids-in-bed relaxer (because it’s much cheaper than scotch and goes good over the rocks with pineapple juice), you’ll want a supply of pineapple juice that will keep in the fridge. No matter how you manage to open it, a metal can is hard to close up again. That liquid in mason jars in my fridge isn’t liquor. It’s pineapple juice, which I happen to mix with my liquor, which, by the way, comes in a bottle, with a cap, that I can put back onto the bottle to keep its contents safe and civilized. Now that’s packaging!